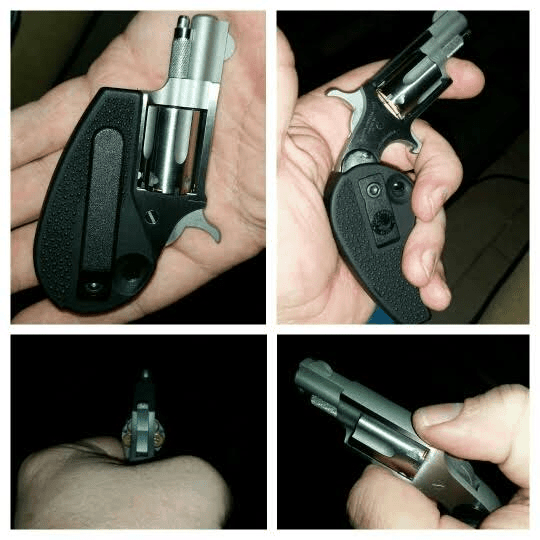 Are The NAA Mini Revolvers Good For Concealed Carry? 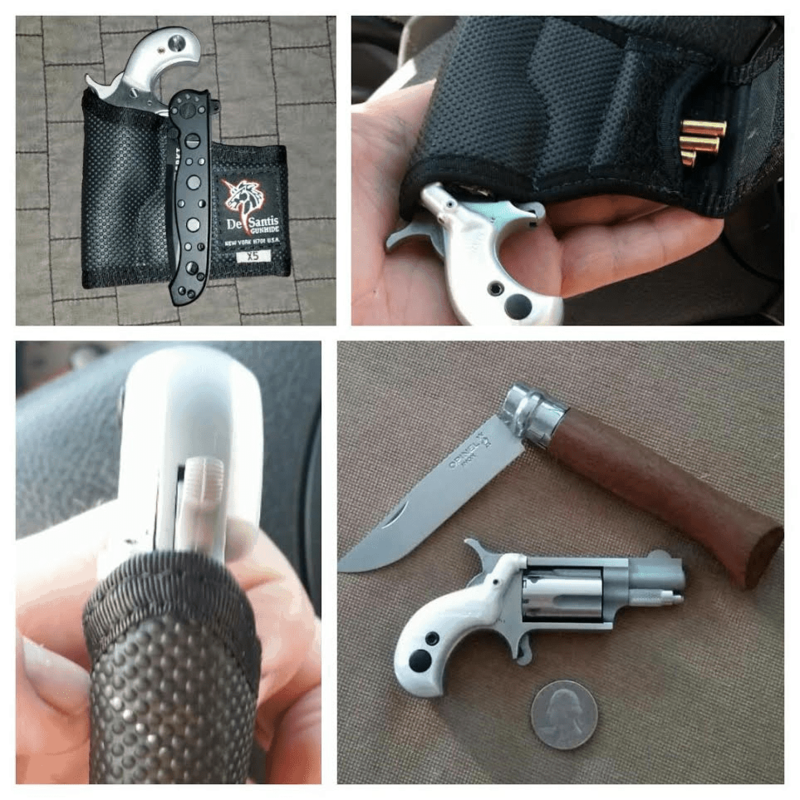 Blog Are The NAA Mini Revolvers Good For Concealed Carry? Small self-defense tools are among the most deceptive tools available for the common man. We have been raised to believe that size is everything. It is cultural in the western world, everything from lips to bottoms and all in between bigger is better or in very rare cases smaller is better. This is the current pervasive belief that is held within much of western society. In the United States, the longest held myth is the following, “Unless it starts with a .4 or a .30 it simply will not work.” Those of us who have seen combat, been involved in self-defense or had other issues occur where firearms were involved know that this is actually scientifically untrue. However, it is important to understand that I do not agree with the opposite extreme either, the often repeated, “more people die by .22 than any other” group of people. Rather I am a realist, a researcher and a practitioner who tests everything carried and does so with every potential defensive tool I add to my chest. As someone who grew up in a home where a .22lr supplied meat and fur money for the winter hard times, I am the last person to discount this extremely viable cartridge. However, I have also lived through the shortages following the 2008 election and the subsequent decline in quality control with big box American-made ammunition. As a result, I absolutely agree with the issues that can occur with .22lr, especially with dirty firearms or poorly made ammunition. My fix for this, simple, I chose to spend 0.08 to 0.14 a round for Ely or Ely primed ammunition made by Aguila using Remington machinery. Secondary, I have taken to cleaning my .22lr firearms every 200 rounds or after every range trip and once a month regardless of use. Amazingly, my firearms and their subsequent accuracy and reliability have gone up significantly as a direct result. In fact, I am happy to say that when properly cleaned, maintained and using Aguila or Ely ammunition has reduced failures to a grand total of 1 in over 5000 rounds, better than centerfire 9mm and 5.56, produced by both federal and Winchester. (I have had numerous failures to fire and one squib over the course of the last year with these) while not scientific in nature these results for myself at least lead me to a simple conclusion, .22lr works quite well if you test, clean and use good ammunition. So now we are faced with additional facts, use of .22lr in self-defense. Over the past two years, I found several cases. They follow in a quick list of links. Enjoy! These are just a few, there are several others but it takes a bit of searching, as we know positive uses of the firearm to save peoples lives is almost always squelched by mainstream media, after all it takes away from the narrative that guns are evil. Regardless, the diminutive .22lr is a round that can and does work. And from my perspective having owned and used a Beretta Bobcat in .22lr as well as several other small .22lr firearms, Bond derringer and now the NAA .22lr mini revolver. I have to say I truly do love the NAA .22lr, in fact, I am finding myself more and more attached to this little piece of well-designed steel as each day goes forward. So here are some quick pros and cons of this handgun alone. It fits anywhere and does so with minimal to no tell-tale bulge or printing. Five rounds of single action .22lr, using your favorite well-made version can when put in the right places (which are quite large on mammals) cause cessation of action. Eg., stop a threat as a last resort. I have yet to see it fail as a handgun. It works, every time the bullet itself works. Which again with good ammunition, means easily 99.9% reliability in function. It is accurate, add the LaserLyte® laser grips and it is almost impossible to miss the target at between 3-5 yards at MOST. I have shot it with the standard wooden grips, LaserLyte® grips and the longer folding holster grips from NAA and had no problems with all of them. The most comfortable to shoot was easily the longer grips, the more accurate were the LaserLyte® grips and though they worked and looked good, I did not like the standard grips that came with the firearm. This is NOT a gun for beginning shooters, IT is NOT a handgun for a mediocre shooter, THIS is only a firearm for advanced or well-prepared shooters. It takes practice and lots of it to be comfortable carrying it, I suggest using a DeSantis® nylon holster for pocket carry with the LaserLyte® grips or the standard grips from the factory. And of course, if you use the folding holster grip, well it pretty much does it for you. It has five rounds, that’s it unless you have 2 minutes to reload, you WILL not get more rounds out. This is a LAST chance gun, a true BUG, back up gun, it is NOT meant as a primary carry or primary defensive firearm. It is truly so lightweight you could easily forget you have it in your pocket, check your pockets before hitting the airport or courtroom. Please, for your own sake! So I know several of you have this firearm in one of its several configurations, what do like most about it? Why do you enjoy it and what put you over the edge in purchasing one? I own one of these, keep the 22mag cylinder in mine. It is light and easily concealed in your pocket or even in your hand. It is light and easily maneuvered. It may not be a powerhouse gun or a distance gun but at close range it can allow you to make a getaway. The reloading is slow but in a survival situation a getaway or a few seconds allowed to grab a larger weapon counts as well.